This photo was taken last year with my i phone. I love the rich colours of the freesia and alstroemeria. 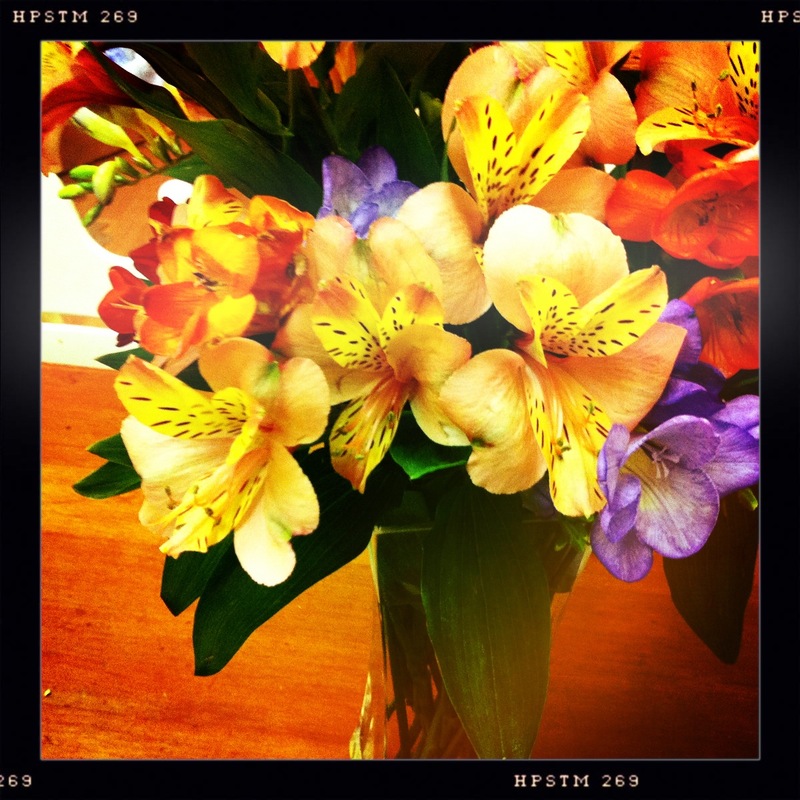 Alstroemeria is also known as the peruvian lily and lasts at least two weeks as a cut flower.